The natural beauty in and around Sand Hollow has attracted Pro Watercross to the Hurricane site for the second consecutive year. The location is also ideal because of the adjoining sand dunes and trails for all-terrain and off-highway vehicles. 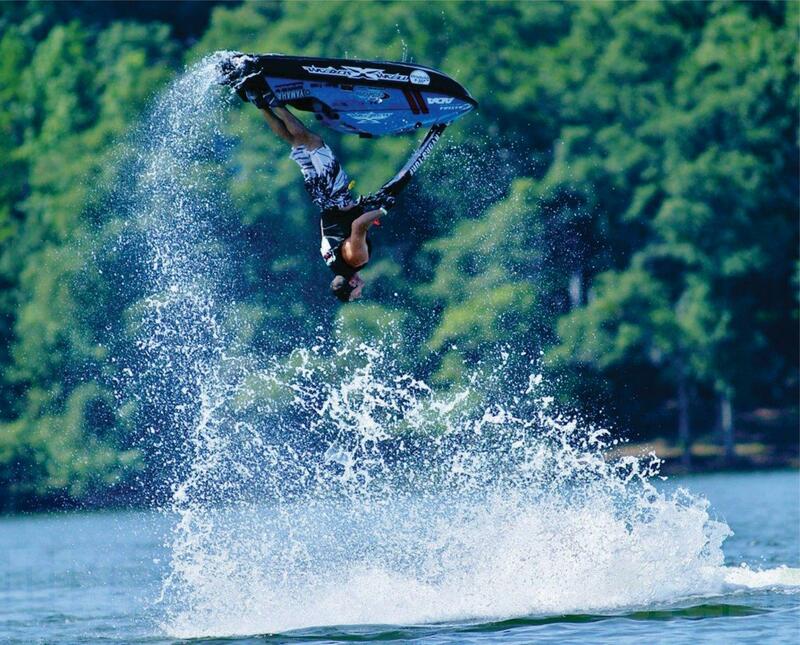 Celebrating its 21st year of racing, the Pro Watercross Tour is the country’s leading personal watercraft racing circuit. The races feature some of the world’s most skilled athletes and fastest machines — reaching speeds of more than 85 miles per hour. In watercross racing, the competitors navigate buoys and obstacles as they zoom shoulder to shoulder around a closed course, which is designed to keep the high-speed excitement close to the fans on the beach. Freestyle acrobatic competition is always a fan and spectator favorite as the pros deliver routines including maneuvers with names like the Aerial Barrel Roll, Yellow Submarine, Hollywood Corkscrew, Kilowatt Flop, Bull Doggin’ and Ride ‘Em Cowboy. The pro races run Friday from 6-9 p.m. and again Saturday from 11 a.m. to 3 p.m. Amateur racing takes place before the pros each day. 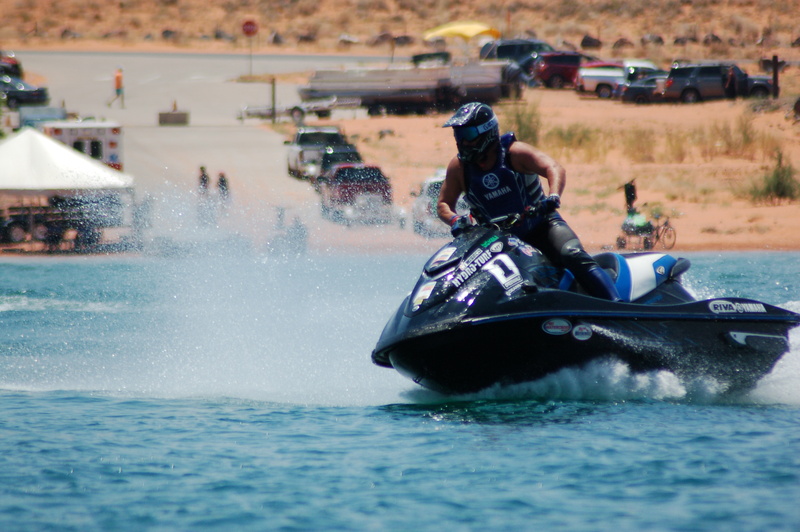 To get the weekend’s events started, the St. George Area Sports Commission has set up a corporate challenge on Friday at 3 p.m. Local businesses will compete in four-person teams using high-speed personal watercraft on a course similar to the one used by the professionals. The public is welcome and encouraged to watch and cheer on the racers. 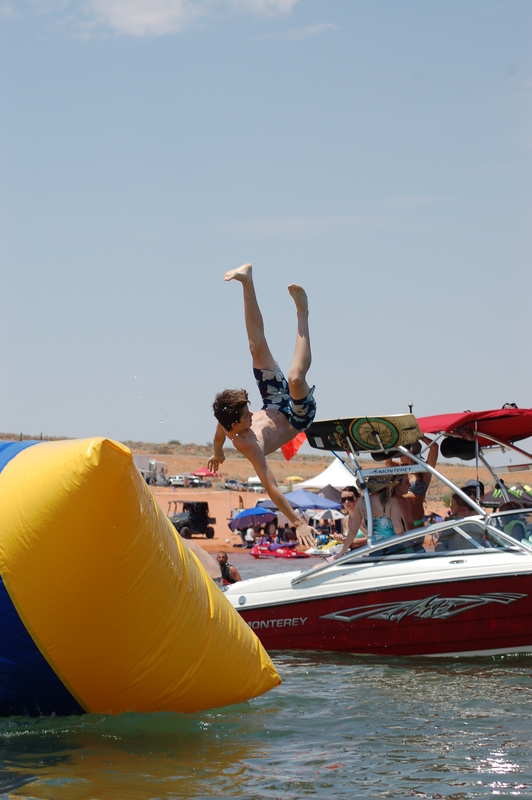 Admission to the Pro Watercross Tour is free; however, normal entrance fees apply for Sand Hollow State Park. Beach activities for children and families are also being provided free of charge. St. George is the fourth stop on the Pro Watercross Tour’s seven-week circuit that culminates with the national championships in August, followed by September’s world championship. Each step of the competition will be filmed and made into a nationwide television broadcast. When: June 24, 6-9 p.m. | June 25, 11 a.m. to 3 p.m.